Kenanga called it a hidden gem and put a target price of RM1.50. I do not put a target price in my blog (as I do not think of my purchases and sale this way). I however would not go so far to call it a hidden gem. A hidden gem is a precious stone which nobody have yet to find. 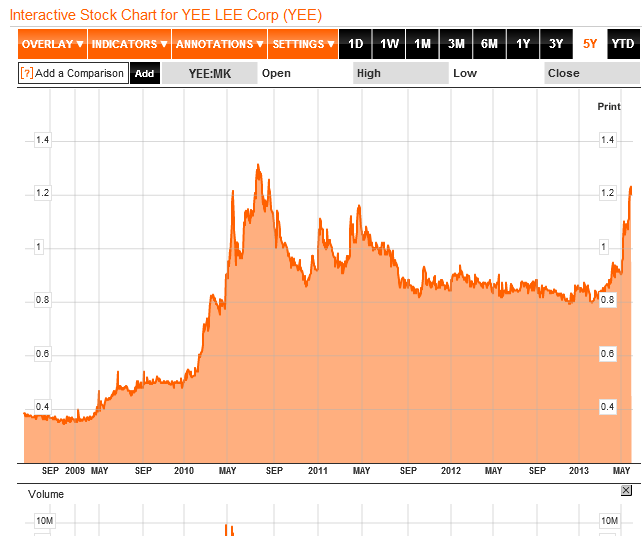 Yee Lee is a very old consumer stock which have been rather consistent i.e. in being profitable. The bulk of its business is in the trading and manufacturing of edible oil in Malaysia. If it is a gem, what are the products that it does. So here it is as below. Which one you think is the Star among the list of products? Helang. 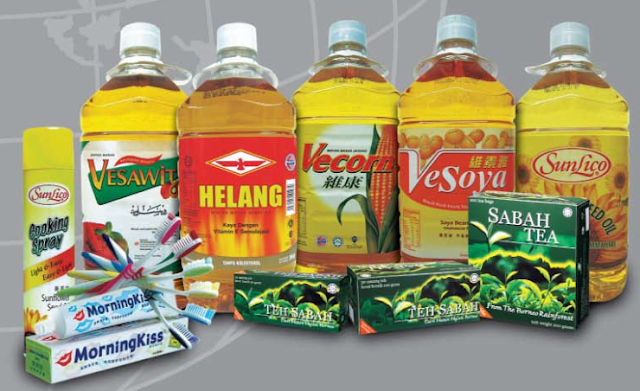 Vesawit and maybe the other edible oil products. I do not think the Sabah Tea and Morning Kiss are much of a value. Besides the below, it also owns an associate stake in Spritzer - a very decent drinking water brand. Now, what makes me feel like wanting to write about this stock. It is again probably a boring stock. It is hidden among many investors but is it a hidden gem? Currently at RM1.20, it is trading at RM212 million market cap. Given that the company has been around for so many years, I would say it has come a long way. The business that it is in is rather competitive, but Yee Lee has proven to be able to be equal among the others. It may not have the brand strength as Knife (Lam Soon) or perhaps the balance sheet strength of Neptune (under Robert Kuok's PPB), but it has survived and well alive. If you look at the above 5 year financial highlights and inclusive of its better performance in FY2012, it has done pretty well for the last 5 years from 2008 to 2012. The first quarter results for FY2013 is even better achieving PAT of somewhere around RM8 million for the quarter. Now, I want to highlight another segment which is in the second red boxed. Not the ROE though. Do not expect the ROE to be good for a business with refinery like Yee Lee. Margin is not expected to be good and we cannot expect business like this to have a ROE of 15%. If ROE is the main indicator, walk away as Yee Lee will never provide this figure as long as it is selling edible oil. A very important trend is the Net debt to equity ratio. If we look way to the right, it was not doing so well there in terms of its health of its balance sheet. A business like Yee Lee is where it buys crude palm oil or Fresh Fruit Bunch, crush them and turn them into refined oil, brand them and sell. To do that, it needs to use some financing to purchase the raw bunch (it also use the financing for terms provided to retailers). This is where mainly the net debt is from, not overly worrying but if its balance sheet is not strong, it will need to finance it longer or even at a higher rate. Walk through the left, that indicator which is the net debt to equity has gotten much stronger. Partly to do with the shareholders funds getting bigger as well as a much controlled short term financing. This is also to do with better collection, which could be internal as well as a healthier overall industry - AEON, Giant, Tesco probably pay earlier. Another indicator which is my favorite is cashflow. 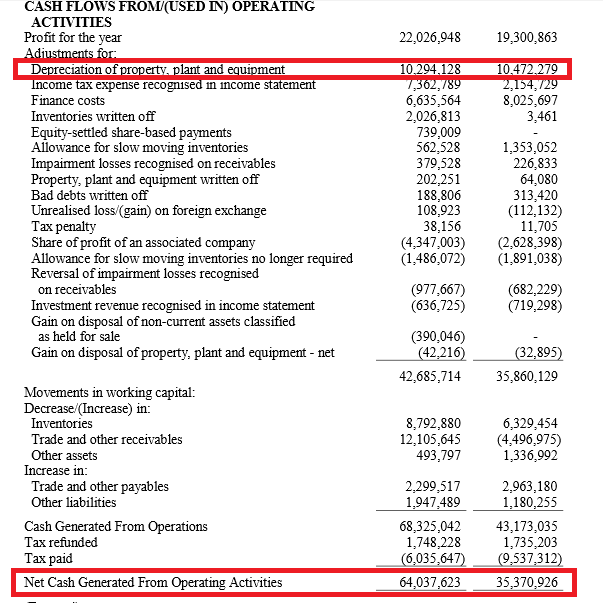 If you look above where I have included 2012 numbers for Net cash from operating activities. You can look at the record from 2008 onward from the above chart. It shows a huge improvement. A better cashflow despite the consistency of profitability is very important. Better collection means, lesser bank borrowings as compared to turnover. It hence means lower interest costs. Why did I highlight the depreciation? This is because in a operating cashflow, the depreciation following accounting principle where the earlier or continuous investment will need to be depreciated over a period of time. It is not a cashflow item. What makes me excited? 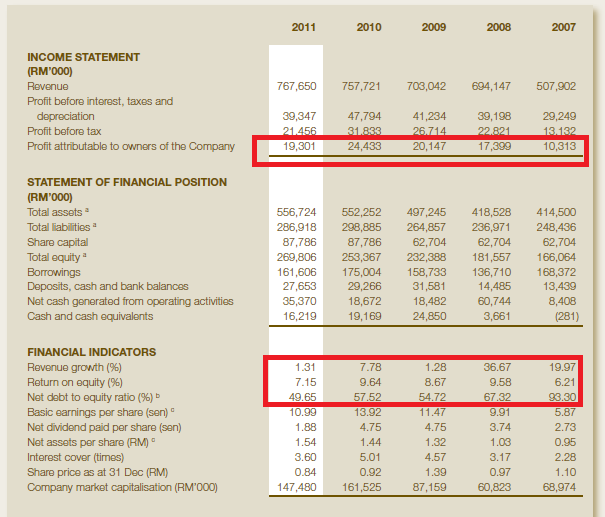 The better cashflow although I doubt it will achieve another RM64 million of net operating cashflow for FY2013 would probably mean better balance sheet (again), hence better profits as financing costs will be lower and hopefully better dividend as well. As usual I do not know where it stands in terms of wanting to pay and its strategy moving forward, but the much better balance sheet is something which we can appreciate. Yee Lee has gone up to RM1.20. Frankly, at one point of time few years ago, around RM0.70 I took a look and deemed its balance sheet as not attractive but with the trend of its cashflow and strengthened balance sheet, I am relooking at the business and where it stands. The business is rather consistent, the lower the crude palm oil price, it probably would be better for Yee Lee, as in current situation. But even if the price of palm oil gets higher, the subsidy from government would have allowed companies like Yee Lee to still be profitable. And, I do not think the subsidy for palm based edible oil would be taken away as by doing so, it would be negative to the country and probably allow other types of edible oil to be more competitive against palm oil based edible oil. It would be inflationary as well. Another thing with this industry in Malaysia is that there seems to be a quota for each of the palm based edible oil producer. Hence, there is always some small margin to be made, but it will remain to be small. For these companies to get out of that trap, they would need to sell some other things. This strategy has been used by Lam Soon pretty well. As for Yee Lee, it does try as it has other businesses in can packaging and corrugated carton packaging. These businesses are always competitive but given where Yee Lee is at, they I would say have done decent, but not fantastic. The gist of it, Yee Lee is a smallish consumer stock, with a rather steady business, decent balance sheet, positioning in terms of its brand and at its current valuation of around 8x PE, I definitely do not think it is expensive. The biggest attraction of Yee Lee is the quality of its earnings; earnings which is translated to hard cash, 2 times more than its accounting earnings. The other attraction may be is its cheapness, a PE ratio of 9 for a consumer stock with steady earnings. ROE is not good. Imagine if I come up with RM1000 to invest in a business and I can only get RM return a year, with so much risk doing a business. Not very good. Yes, margin of this business is low, about 3%. What if cost of material, labour etc suddenly goes up, the company may end up making a loss. Supermarket business like Walmart also have low margin, but ROE can be high by having higher financial leverage and higher asset turnover (sell more). Yee Lee uses the former but not good in the later. Leverage can cut both ways and hence having a higher asset turnover way is better. Yee Lee can also increase its ROE to even 15% by selling more, having an asset turnover of 3 times, instead of just 1.3 times. RM1000 capital return only RM76 (ROE=7.6%). Might as well put my money in the share market for long term. Hi KC, right, which is precisely I did not look very much into this business. However as its business is very much oligopoly now, the same effect of high cost of material, labour would in effect be felt by the same parties, i.e. Lam Soon, PPB, Sime Darby etc. The higher asset turnover would mean it has the need to invest much further due to it is a manufacturing and trading business. I think in this business all of the players already know what the market share of each brands control. They as the oligopoly would just concentrate on doing promotions, some marketing but would not act much on the supply side. An overreaction on the supply side is what we see in China where the over supply has affected the pricing and crushing margin - which is why Wilmar was affected the last 2 years. Lam Soon which has some market share in China as well is also greatly affected. I think not overly ambitious and remain status quo would be good for the businesses of edible oil in Malaysia. An excellent analysis of Yee Lee's business. A good business but not a great business. It could be attributed to average management. Its EPS almost flat for 5yrs. With PE average to 8 means it takes 8 yrs for investors to recoup our investment without considering dividend. My view as outside investor rather than owning this company for long, would concern more the earning power. If eps is incremental means once can recoup faster. If without any clear dividend policy, it isn't appealing to me from an investor point of view. My remisier recommended this stock to me a few months back when it was trading around RM0.85. Took a look at it but didn't go in at the time as it was too defensive (boring) considering my strategy was heavy cyclicals. But it proved to be a good contra play in its recent run-up and I made a quick buck when I exited at RM1.23. Since it was a pure momentum play, I wouldn't advise to pick up any shares at its current levels. Will it go up further in the long term? One thing I learned about share trading here is that price movements sometimes (actually I have seen it many times over) do not correlate to fundamentals. That's how we get silly counters trading at silly PEs and good companies can remain undervalued for a long time. As a business its un-exciting but how much can its share price go up is anyone's guess but I just wouldn't write it off so easily at this point. So this stays in my radar for now. For small cap counters like this, anything is possible. For some companies to have ridiculous PEs, it is always dangerous as sometimes we are holding or playing against the holders who wants to dispose. Hence, timing is a factor. However for fundamentals, I believe that it will always readjust itself. The thing about fundamental though is finding the right one. Over the years in this area, there are more and more people who trust fundamentals nowadays, otherwise companies like Nestle, Dutch Lady, Calrsberg would not trade at 20x to 30x PE. This is a good sign for the market as I think people are more mature now. This I believe has got to do with the internet as well. Hence, the internet revolution does not affect politics but market as well. Yee Lee, Cheetah and BPPlas are all alike. Flat earning, steady dividend per share. But Cheetah and BPPlas are more cash-rich. Hope that as the major shareholders are getting real old, they'd be more generous to the minor shareholders. 100% payout lah if you don't have any idea to expand the business. Another common thing among them which I had not mentioned is the small capital (ridiculous market value as you have always said). This will not happen Sunny. This type of company always plan for 2nd generation. What if he has too many children and grand children? 100% payout would be the easiest solution and fair for all. I have already seen this in some companies. These are some fundamentals that need to be studied, haha! Don't get me wrong, I am a through and through fundamentalist. Earnings and growth are the best bets in investing. But value adjustments of some companies can take a longer time, sometimes years. But if you can find the right undervalued, under researched stock and go in at the right time, the returns can be handsome. But timing is always difficult. My portfolio includes stocks I hold for longer term and those that I day trade or swing trade depending on how the "stars" align. But I always fall back on fundamentals and don't trade on rumors. Just trying to ride the waves for better returns. All the consistent successful investors I know goes on fundamentals and logic. But I do find combining both technical and fundamental analysis gives more clarity in everyday trading. I just wanted to point out that having seen how some of manipulators at work close-up, smaller caps can swing wildly but at considerable risks to the untrained investors. Oh yeah, these people are alive and well. Never meant that. For sure they exist. Otherwise how would the Top 10 traded be Top 10 traded as it is. What I was saying is that there are more fundamentals at work in the market now. 1) I think the low ROE is mitigated by the low price-to-book value multiple. Latest reported BV per share is at RM1.70 while share price trading at RM1.17 as at writing. Assuming Yee Lee earns RM0.12 in 2013, that is approx 10% "real" ROE (more commonly known as earning yields, or the inverse of P/E). Anyway, 10% "ROE" still not good enough for me. 2) According to Annual Report, Yee Lee's debts comprised mainly Bankers' Acceptance (BA), which is a popular short-term working capital financing that charge very low interest. Normally, BA is used to finance purchase from suppliers, with a repayment terms in a range of 30-120 days, thereafter directly cover by the collected sales proceeds. It is pretty much same as the credit terms given directly by the suppliers. Hence the gearing ratio is not as material as normal term loans/overdraft that charged higher interest rate. Still, I don't like company without net cash position, so Yee Lee is a pass for me. 3) I need to remind the everyone that although the operating cash flow is high (like double of the earnings), we should not ignore the depreciation expense. I've checked on the capex for the past 3 years, which averaged at RM11 million, similar level to the depreciation expense. So when comes to "Owner's earnings" or free cash flows, the net income is actually quite reflective. At the current price, the margin of safety is deemed not enough for me. 1) You seem to mix up earnings yield which is a share price related metric with ROE, which is an accounting or business related measure. They each has its own different usage. 2) If a company has a good business with steady income and cash flows which can easily cover interest payment, leverage enhances return. Hence this type of company is best to have a capital structure with higher borrowing; of course not to the extent of making it too risky especially in time of down turn. There is nothing right or wrong in each person’s preference when investing. It is just individual. 3) CFFO/NI is just a check of the quality of the earnings. Taking an average of three years NI and CFFO of 21.9m and 39.4m respectively, CFFO is 180% of NI which shows the good quality of the earnings. This should guard against managed earnings and other financial shenanigans. Actually the more appropriate metric is CFFO/EBITDA as the cash flows is for the firm but EBITDA includes earnings belonging to debt holders too. The net income will be reflective of the “Owner’s earnings”, provided that Yee Lee has only one class of stakeholder, namely the equity shareholder, and if capital expenses equals depreciation on average. FCF is not owner’s earnings in Yee Lee’s case because FCF belongs to both the shareholders as well as debt holders, but owner’s earnings belong to the owners only, namely the equity shareholder. Interesting. To add some, I guess in Malaysia, many investors prefer companies that has little debt. Like what KC says, if debt is manageable, it is an important element for the company's growth especially at times when it is at its lowest. Companies that have used FCF and debt very cleverly is Maxis and Digi seems to be using it much more, which is why at one point of time it paid lots more dividend that now. I guess very few Malaysian companies uses preference shares, which is why EBITDA is less used among shareholders as well. EBITDA actually missed out the capex portion. For a company like Yee Lee, over the long run, the FCF should almost match the NI, if we add them up over many years. This is because they seldom do lumpy investments. On the debt / equity, while as a banker I would like the company previously as their debt level are still manageable, as an investor, a lower debt / equity would represent a healthier balance sheet despite them being BA/TR. I actually read comments which outdo many analysts report. Keep it up! 1) KC, I can understand the usage of ROE and EY in terms of textbook theory, am just using it in a dynamic way. My point is, if a company has low ROE, a low price-to-book will "inflate" the ROE, if you get my meaning. 2) Agreed. Geared companies should not be avoided entirely without analyzing its debts. For me, being a kiasi investor (LOL), I still don't mind company borrowing money, but I prefer a net cash in balance sheet. Parkson is a very good example. 3) Again KC, don't get me wrong, I wasn't trying to deny the usage of CFO to evaluate earnings quality. My point is, depreciation expense is crucial in predicting capex, hence NI can be considered as the proxy of FCF. Thanks for explaining Owner's Earnings. To add, I think your meaning on Owner's Earnings is equal to Free Cash Flow to Equity, which is also a widely used FCF metric. Felicity, thanks for your view too. well, when i was doing some research on yeelee i found this blog. i bought yeelee at 1.1X during May 2013. after a year i sold all of the yeelee @1.8X. i gain about 60% in a year. this might not be a very good return but i have a nice sleep at nite. now yeelee selling 1.7 and i still think it should be > RM2 (20% gain). i still hoping i could hold this share if it drop more someday. WELL, after 2 years, it is almost RM2.4 now. It is decent to get a 100% return within 3 years.